There are many colleges which provide with good teaching staff and infrastructure. But we have to choose best BCA college from them. The question arises like Is that college is affiliated to Pune university? Does this college provide good placements? First check whether the college is affiliated to reputed university. If it is not affiliated to reputed university, then do not choose that college. BCA college must have a computer lab with a sufficient number of system. Laboratory's system must be up to date with the latest technology. BCA college must have good infrastructure as well as a good facility like digital classrooms, projector, digital notice board, lift, hostel facility, security guard etc. It is compulsory for any college to be approved by AICTE or UGC so that your degree certificate is valuable. Many of the BCA colleges is assessed and accredited by NAAC. Faculty of BCA college must have proper teaching skills. Must have programming knowledge with a good logic builder. Faculty must have corporate experience so that they can teach students with their practical experience. Also, check activities or events that are going on in campus and academic activities like guest lectures, training, pre-placement training. These types of activities help students to know about outside world. BCA college must have corporate contacts it helps them to attract the companies for placement. Also, check previous year placement records. Good BCA College will train the students in a proficient manner and guarantee the better future of the students. Check admission procedure because some of the BCA colleges has their own entrance exam. Many BCA college has government recognized entrance exam i.e MH-CET, CMAT. If you are done with above list of guidelines now check for the list of best BCA college in Pune which helps you make a good career in information technology world. You can also seek help on your friends and relatives. We, at MIT-SOM College, give you healthy learning environment, modern laboratories, experienced faculty for quality education. 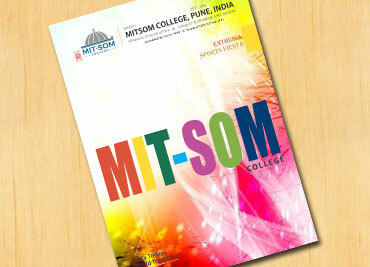 In MIT-SOM College, there are various committee available so you can join as per your interest. At MIT-SOM College, you can focus on academic as well as other activities going on in the campus that will shape your own education and experience.